The Ranger Pool Lift is an economical lift which upholds Aqua Creek’s standards for durability and reliability. 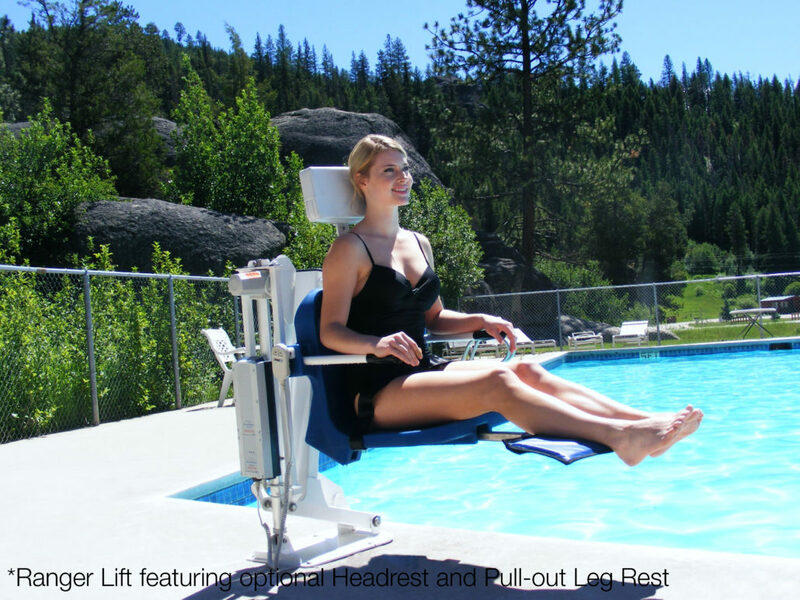 The Ranger Lift maintains our high standards of reliability and durability, and is similar to the Portable Pro Lift but is installed at poolside. It offers a lifting capacity of 25 stones (158 kg) while maintaining a sleek, low profile design. And is ideal for smaller clubs or centres, or for the private individual who wants to retain their independence. This automatic lift is designed to be operated by the user allowing full control with a 2-way hand-held control.